New readers will fall in love with New York Times bestselling author LaVyrle Spencer's unforgettable novels-and for those who have already read her timeless romances, rediscover the passion and magic . . . .
Two brothers work a rich and bountiful land-and one extraordinary woman shares their lives. To Jonathan Gray, Mary is a devoted and giving mate. To Aaron, she is a beloved friend. But seven childless years of marriage have forced Jonathan to ask the unthinkable of his brother and his wife-binding the two people he cares for most with an act of desire born of compassion . . . awakening Mary to the pain of infidelity, and to all the bittersweet joy and heartache that passionate love can bring. 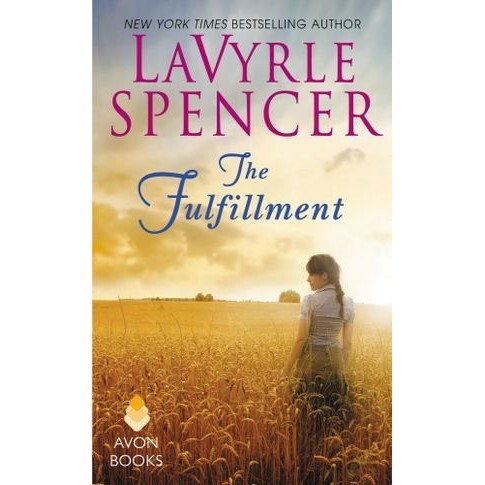 LaVyrle Spencer is the author of numerous nationally bestselling novels, including Family Blessings, Home Song, That Camden Summer, and Small Town Girl. She lives in Minnesota.